Sandals resorts in the Caribbean have become a byword for romantic escapes in idyllic settings. Even if you aren't planning a honeymoon, there are several ways to ensure you find the Sandals holidays best deals. Your dream escape to those sun-kissed beaches doesn't have to leave your bank manager sobbing. 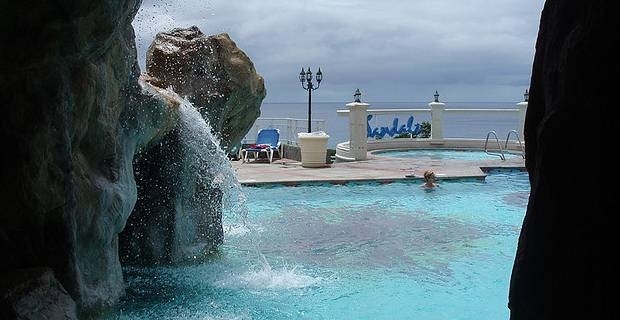 Sandals offer a variety of destinations, but for most holidaymakers the brand means an escape to a Caribbean island. Forget families, Sandals is all about couples looking to enjoy an all-inclusive break in perfect surroundings with gourmet food and stylish entertainment. Luxury comes at a price, but a little judicious research can make that price-tag more affordable. Finding Sandals holidays best deals is partly about knowing when to travel, partly about being flexible about your departure points and your destination. Sandals might pride itself on its luxurious image, but still has to deal in the real world and reflect the economic climate. It is certainly not averse to using late deals and discounts to fill its rooms at quieter times of the year. The first point of call is the Sandals website, which has the latest information on deals and promotions. The most tempting is the occasional two for the price of one sale, but if you don't manage to catch that deal, there are some startling savings to be made on late availability holidays. As an example, holidays in St Lucia and Antigua for September and October 2013 were being offered with discounts of over £1,200 for a week's stay. Sometimes the shamelessly direct approach can work if the website discount isn't available. After researching the Sandals package that interests you and checking the prices offered by tour operators, it can be worth contacting the resort direct and enquiring if they can offer a better price. Direct bookings are more attractive as they do not have to pay commission to hotel or holiday booking sites, so this might be successful. Shopping around for Sandals holidays best deals involves relaxing your requirements just a little to save hundreds of pounds. It also requires an ability to respond quickly to bargain offers. Sign up at the website for regular email updates of the latest offers. It could even save you thousands on that Caribbean fantasy.